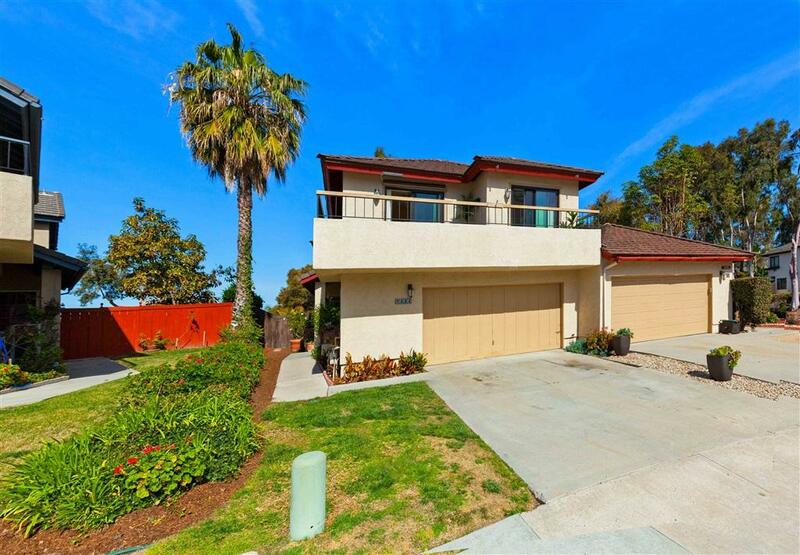 SWEO 725k-755k Quiet 4-bedroom Rancho Penasquitos home with private backyard, covered deck, even peek-a-boo ocean view! Open floor plan with fireplace. 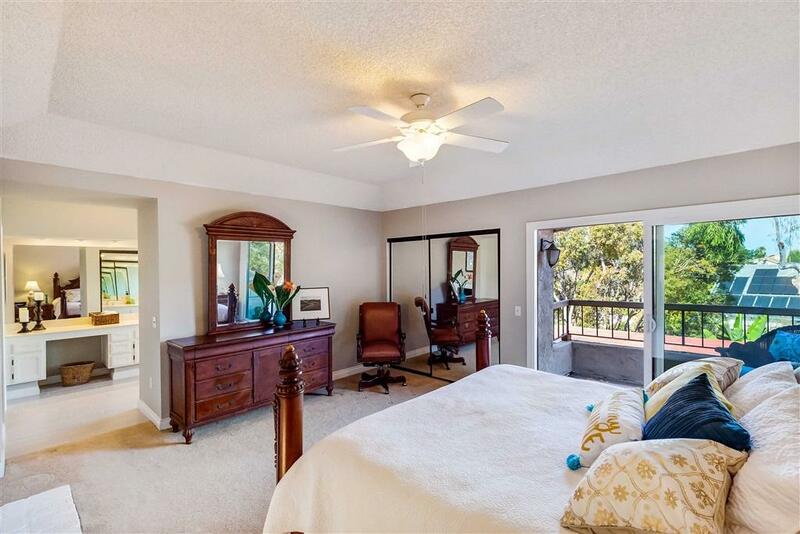 the 4 bedrooms upstairs, including large master suite with over-sized soaking tub and view! Balcony for morning coffee or afternoon respite. Award-winning Poway School district, you will be charmed! walking distance to the library the dog park . 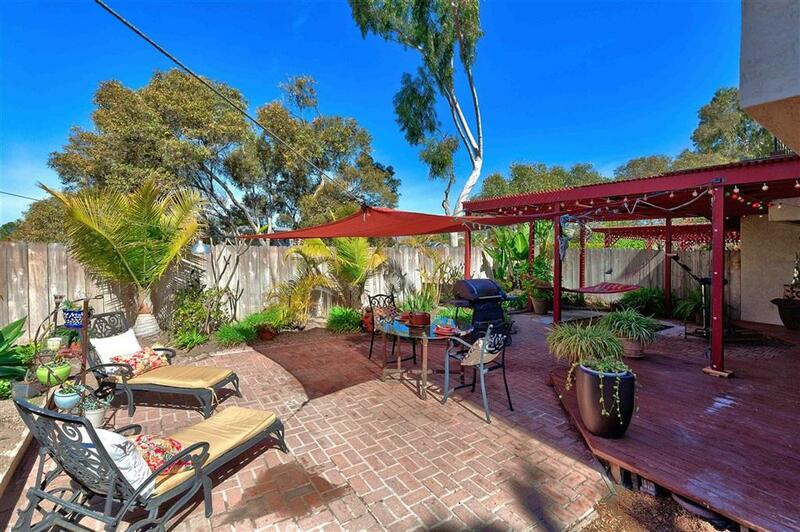 Nice size backyard for the kids to play Dream home in Rancho Penasquitos. This wonderful family home is located in a highly desirable, well established neighborhood, with top ranked schools and easy freeway access. The home features 4 bedrooms and 2.5 baths. The lower level contains a spacious, contemporary kitchen that opens up to the living room and beautiful backyard. 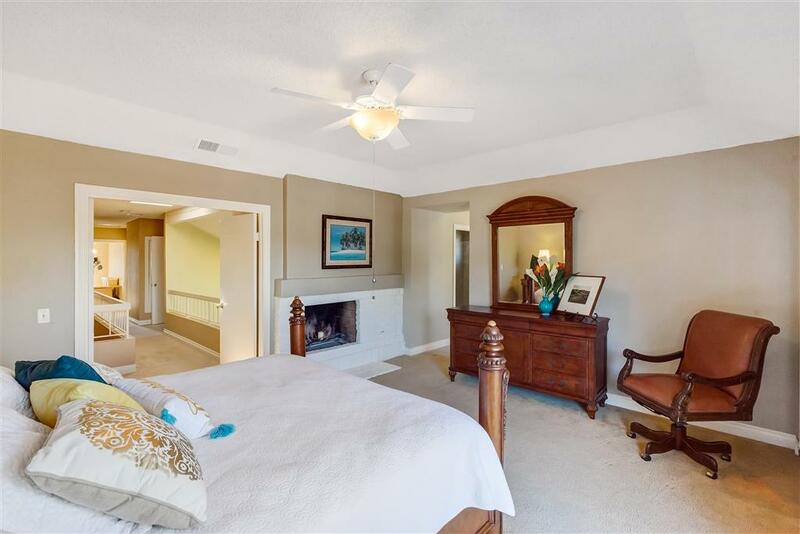 Each room flows beautifully and easily into the next creating a spacious floor plan for entertaining. There is also a formal dining room area that includes a warm and inviting fireplace. Upon entering the home you are greeted by vaulted ceilings and light cascading through skylights. The master suite provides the perfect space for relaxation, including modern white cabinetry a large soaking tub, and views. 3 of the bedrooms have second story balconies, and the main level includes direct access to the attached 2-car garage. The serene backyard is an entertainerÃ¢â‚¬â„¢s delight with a pergola covering the patio and full fencing for added privacy. This home will not last long!